- 6 x 15ml/ 0.5fl.oz. 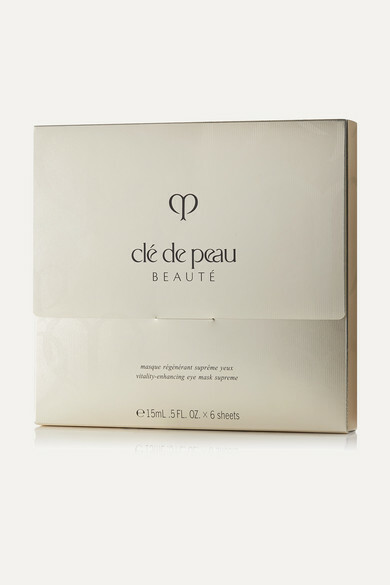 Whether you're unwinding for the evening or prepping for the day ahead, Clé de Peau Beauté's masks are such a luxurious way to refresh and invigorate the entire eye area. Formulated with the label's signature 4MSK and Illuminating Complex EX, each one is designed to brighten dark circles while minimizing puffiness and fine lines. The generous size ensures that they target problem areas on the forehead and temples, too.